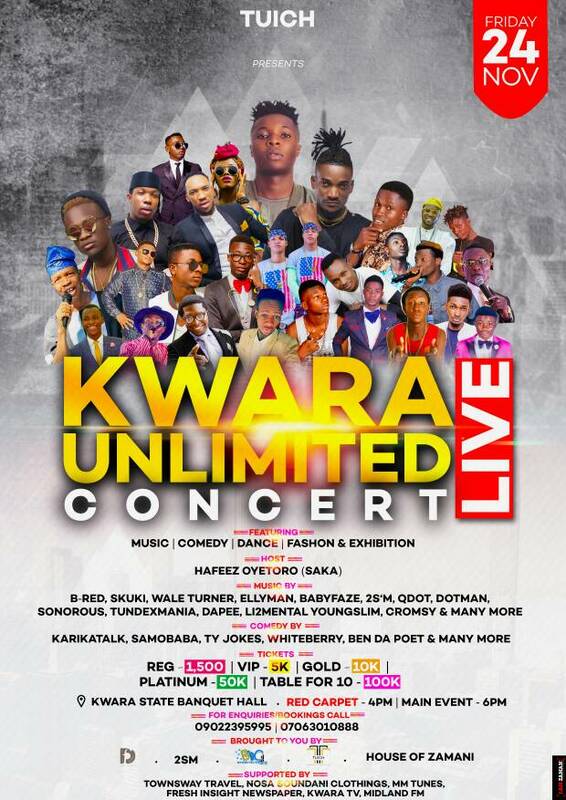 Kwara Unlimited Live Concert hits Ilorin Friday – Royal Times of Nigeria. state Banquet hall, Ilorin. The show features Music, Comedy, Dance, Fashion and Exhibition. of the show while MC Peperenpe and Maureen are the Red carpet host.